Bio-Energetic Synchronization Technique (B.E.S.T. ), developed by Dr. M.T. Morter, Jr., is a non-forceful, energy balancing, hands-on procedure used to help reestablish the full healing potential of the body. B.E.S.T. is widely used by health care practitioners all over the world who practice mind/body healing and recognize that the body is more than the sum of its parts. It is a system of health care that is state of the art in balancing body, mind, memory and spirit energy fields, and enhancing the flow of that energy throughout the entire system. It is a whole-body healing technique. The body reveals short-circuited neurological patterns as a result of unresolved subconscious emotional issues, affecting all systems required for health and wholeness. Those patterns can be demonstrated as tight muscles, dysfunctional organs or glands, emotional stress or depression type reactions. By accessing areas of the brain through a pressure point type therapy, that is, touching certain points around the head and body in a specific sequence, while having you think about certain memory stresses, the body begins to reconnect the circuitry with the brain. Clinical experience has shown that by stimulating these specific pressure points as part of the B.E.S.T. procedure, your body can not only begin to feel better, but will actually begin to repair and rebuild. By taking this approach, you are taking steps to learn to maintain this balance in the days, weeks and months that follow. 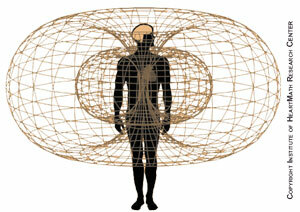 The body is electromagnetic in nature. Both electrical fields and magnetic fields affect it. Bio-Energetic work utilizes one or both of these types of energy for healing purposes. This work is done with hands only when applied by a practitioner, and does not require the use of instruments of any kind. When used as a self-healing technique, breath work and mental focus training are used to remove blockages from the nervous system and subconscious memory storage. The mind is trained to focus on the affect of stored interference and dissolve it with the use of a variety of energetic bandwidths and conscious breathing exercises. Bio-Energetic treatment creates a natural balancing of nerve function and communication between the Conscious and Subconscious divisions of the Central Nervous System. It is a gentle, painless, non-force methodology of treatment for many types of conditions that often are treated with medications and surgeries. It addresses the cause instead of the symptoms exhibited in the individual. It corrects nervous system function that could be contributing to other mental, emotional or physical health conditions that have not yet become symptomatic, preventing the onset altogether. Self-Healing Breath Work and Mental Focus benefits are seen to include a regular shift in disposition in the individual toward a self-empowered life experience. Practices can be done while the individual is engaging in many other daily activities and once learned, do not require significant time allotted separately. These self-administered practices can be learned in Dr. Sue Morter’s Energy Codes coursework. Bio-Energetic healing work has been found to be very effective in the treatment of children and newborn infants, as well as the elderly, due to its gentle, non-force approach. Patients involved in the study had failed to respond to other medical care and other forms of chiropractic and natural healing. It was deemed to be clinically significant if a 15% improvement in the casework was observed with the utilization of B.E.S.T. in the study. Overwhelmingly successful, the results provided an 85% improvement in the patients, not only in their areas of primary pain, but in other areas of their lives such as improved emotional stress level, depression and overall well being.